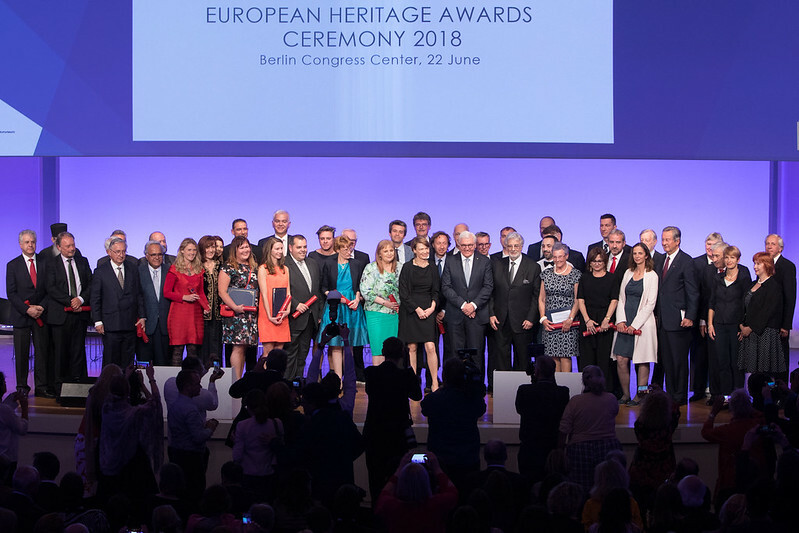 2018 – European Cultural Heritage Summit in Berlin (Germany) and Awards Ceremony at Berlin Congress Centre, key events of the European Year of Cultural Heritage. 2017 – Annual Congress in Turku (Finland) and Awards Ceremony at St Michael’s Church. 2016 – Annual Congress in Madrid (Spain) and Awards Ceremony at the Zarzuela Theatre. Announcement of the European Year of Cultural Heritage proposed by the European Commission. 2015 – Annual Congress in Oslo (Norway) and Awards Ceremony in the Oslo City Hall, home of the Nobel Peace Prize. Presentation of the results of the 2-year European research project Cultural Heritage Counts for Europe. Plácido Domingo is re-elected President of Europa Nostra. 2014 – Annual Congress in Vienna (Austria) and Awards Ceremony at the Burgtheater. EU Council adopts first-ever Conclusions on cultural heritage. European Commission publishes Communication ‘Towards an integrated approach to cultural heritage in Europe’. 2013 – Annual Congress in Athens (Greece) Annual Congress in Athens (Greece) and Awards Ceremony at the Odeion of Herodes Atticus with an audience of more than 4000 people. Launch of the Helena Vaz da Silva European Award for Raising Public Awareness on Cultural Heritage with the Centro Nacional de Cultura in Lisbon (Portugal). Participation in the New Narrative for Europe initiative. Launch of the 7 Most Endangered programme for endangered heritage with the European Investment Bank Institute. 2012– Annual Congress in Lisbon (Portugal) and Awards Ceremony atthe Jerónimos Monastery,which was broadcast by the national public TV station RTP. Launch of the Public Choice Award. 2011 – Annual Congress in Amsterdam (The Netherlands) and Awards Ceremony at the Concertgebouw with an audience of some 1.600 people. Launch of the European Heritage Alliance. Amsterdam Declaration on Volunteers. 2010 – Opening of the Europa Nostra’s office in Brussels (Belgium). Annual Congress in Istanbul (Turkey). Plácido Domingo is elected President of Europa Nostra. Launch of the new magazine Heritage in Motion. Declaration of Bruges. 2009 – Reform of the Europa Nostra Governance system and Statute. Denis de Kergorlay (France) becomes Executive President and John Sell, CBE (United Kingdom) Executive Vice-President of Europa Nostra. Annual Congress in Taormina (Italy). Policy paper ‘Why Cultural Heritage Matters for Europe’. Declaration on ‘Saving Europe’s Memory and Identity’. Memorandum of Understanding with INTO – The International National Trusts Organisation. 2007 – HRH The Infanta Doña Pilar de Borbón is elected President of Europa Nostra. 2006 – Coordination of the European Heritage Days, a joint action of the Council of Europe and the European Commission. Dr. Andrea Schuler (Switzerland) becomes Executive President of Europa Nostra. 2005 – Policy Forum ‘Cultural Heritage Counts for Europe’. 2004– Campaign against the large-scale destruction of the cultural heritage in Kosovo. 2003 – 40th anniversary events at the Palais de l’Europe in Strasbourg (France). 2002 – The European Commission launches with Europa Nostra the European Union Prize for Cultural Heritage/Europa Nostra Awards to promote best practices in the heritage field across Europe. 2000 – Millennium Congress Prague (Czech Republic). The General Assembly adopts the revised Statute. 1999– Experimental cuts in VAT for heritage restoration and repair works allowed by European Union, as a result of Europa Nostra’s campaign. 1998 – Europa Nostra recognised by the European Commission as a pan-European umbrella organisation in the field of cultural heritage. 1997 – Report on ‘Built Heritage and Employment’ with the European Heritage Group. 1994 -1998– Europa Nostra acts as the coordinator of the European Heritage Group. 1992– Daniel Cardon de Lichtbuer (Belgium) becomes Executive President of Europa Nostra. 1991 – Merger with the International Castles Institute (IBI). 1990– HRH the Prince Consort of Denmark becomes President of Europa Nostra. 1989 – Co-organisation of the 6th European Symposium of Historic Towns & the Historic Towns Forum. 1987-1988– Special Award Scheme for conservation by local authorities throughout Europe to mark the European Year of the Environment (EYE) upon request of the European Commission. 1985-1987– Survey of attitudes and reactions to the conservation of the European heritage in town and country upon request of the Council of Europe. 1984 – Hans de Koster (Netherlands) becomes President of Europa Nostra. 1983– Europa Nostra wins Olympia Award by the Onassis Foundation in Athens (GR). 1978– Launch of the Europa Nostra Heritage Awards Scheme. 1975 – Co-production of the award-winning documentary ‘The Wheels of Time’. Participation in the European Architectural Heritage Year. 1969 – Lord Duncan Sandys (United Kingdom) becomes President of Europa Nostra. 1963 – Europa Nostra is founded by non-governmental heritage organisations from Italy, UK, Netherlands, Switzerland, France, Germany and Ireland.